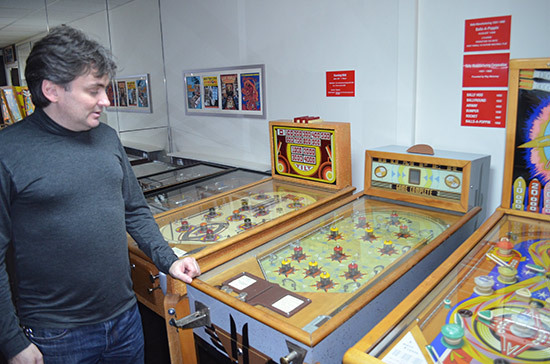 On a recent lovely Saturday filled with all the promises and possibilities of le Printemps Parisien gracing us with an early appearance, I headed to Raphaël Lankar’s Paris Pinball museum. Joining me on this maiden visit was my new local friend Michel Dailly who I had only recently met at the terrific Munich Pinball Lounge fall tournament. Michel is a bona fide pinhead. Not only is he consistently in the top 40 IFPA rankings but back in October, he had driven the 8 hours through the night from Paris to Munich to participate in the tourney. Who needs sleep when you can drink nine red bulls instead? That’s some impressive pin-dedication, and true devotion to pinball was to be the theme of the day. After finding a probably illegal parking spot on a sidewalk between two reassuring cars, I was all jazzed up to be in the City of Lights and Love as I found myself 'pfrancing' on over to the museum entrance. That classic 1961 Miles Davis tune was a perfect soundtrack for my discovery of an unparalleled treasure trove of timeless little masterpieces of pop culture art and ingenious technical innovations. Instead Michel was waiting for me on the front stoop of a walk-in basement of a perfectly pedestrian well-to-do apartment building. There were big windows, double glass French doors (mais, of course), some lovely foliage, and even possibly flowers blooming in the planters outside. As I later learned, Raphaël had moved his museum to this new location in 2011. All the write-ups and pictures I had seen online before this visit depicted the original museum further out in the banlieue, in Aubervilliers. That venue has now been razed and replaced by apartment buildings. The newer location is now right inside the péripherique Parisian ring road with easy access by Metro. If you’re coming by car, you may not want to emulate my parking gamble. Instead, just ask the Museum for parking advice as there are good options available, something quite incroyable in Paris. Michel and I promptly made our €15 donations at the door and in we went. 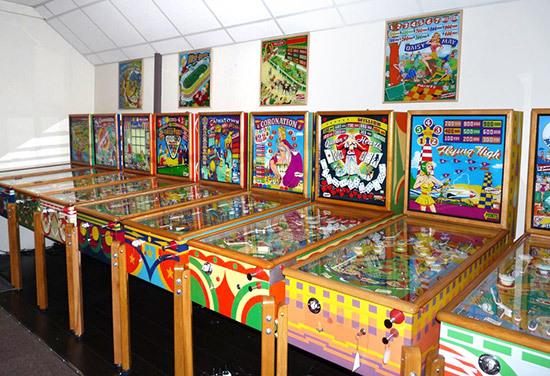 If my first foray into PAPA headquarters seemed like entering a Gothic cathedral to pinball, walking into the Lankar museum was akin to stepping into an overflowing cavern of Ali Baba. That classic 1938 Gottlieb woodrail could not find a finer home than in this collection. With Raphaël on his travels that weekend, Bruno was to be our host and tour guide. Bruno has quite the flipper pedigree himself. He still remembers his instant love affair with the silver ball when he was eight years old. 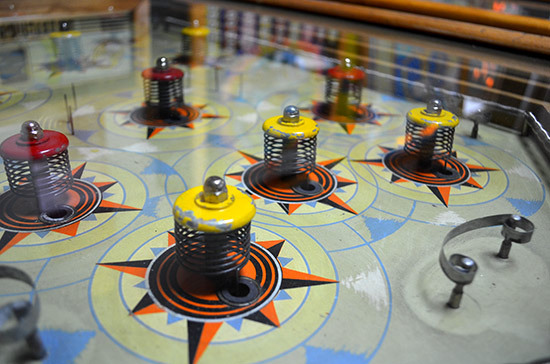 Before his tenth birthday, he had already built his own makeshift pinball machine using a wood plank, some nails, rubber bands, a marble and a couple of ice cream sticks as flippers. He spent his formative years devouring any pinball books in any language he could find. He met Raphaël in November 2010 on his first visit to the museum. 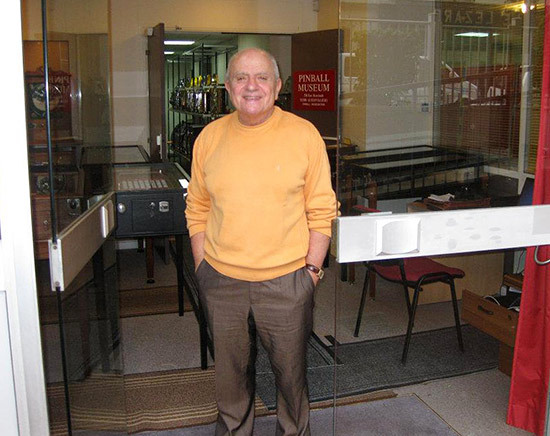 Through repeated visits, he got to know him better and better, eventually becoming the main volunteer at the museum and its frequent tour guide extraordinaire. Starting with the highly successful 1931 Baffle Ball that launched the whole Gottlieb saga, Bruno regaled us with snippets of historical context and anecdotal gems as he walked us through the labyrinthine rooms. The convoluted floor plan added an unexpected fun sense of discovery as we explored the museum and kept on finding hidden rooms full of superb treasures. These pictures tell the story best about what you may expect at the museum. The famous Gottlieb Baffle Ball - 10 balls for 1 cent! 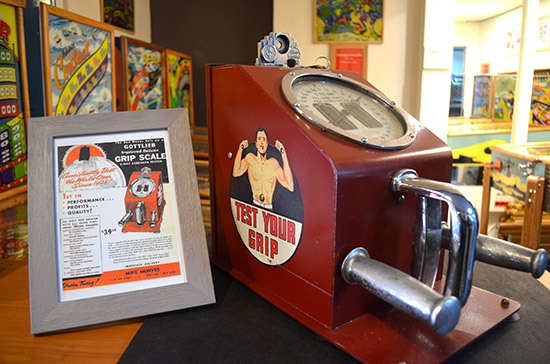 1940s Gottlieb Deluxe 3-way Grip Tester, penny operated. It was very successful. A bell goes off if you are strong enough. This is a heavy little guy built tough. The first game with bumpers called... Bumper! And the first backboxes. Since I missed Raphaël on my visit, we arranged to have a phone conversation a few weeks later. I had heard some echoes about his colorful character. Also, since he had been an operator in Paris for some fifty years, he assuredly would have some pretty great stories and insights to share. Indeed over a hugely entertaining hour-long romp on the phone, he spoke of his Italian roots, his travels throughout Germany in search of Otto Dix paintings, quoted Pierre de Mariveaux, referenced Baruch Spinoza... I tried to glean as many nuggets as possible of his accomplished life through le flipper. Raphaël bought his very first game in November of 1959, a 1951 Williams Shoo Shoo - named after Harry Williams’ trusty canine companion. The following year he purchased Flying High, Green Pastures, Diamond Lill, Grand Slam, Arabian Knights, Gladiator and Sea Belle, putting them directly into cafés around Paris. 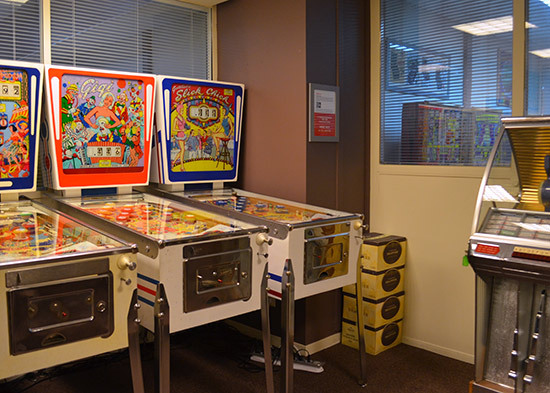 He knew these were not the best games one could run, but as a new operator it was near impossible for him to score one of the era’s big earners such as a 1952 Gottlieb Queen of Hearts or a 1954 Gottlieb Super Jumbo. The advantage he did have however, was that being a young energetic personable upstart, he could apply himself to build rapport with all the cafés' owners. In Paris, historically these mom-and-pop proprietors often originated from the French region of Auvergne, with a reputation for thriftiness and hard work. Raphaël became masterful at winning them over so they would take in his games. Within ten years, he was one of the leading operators of France. 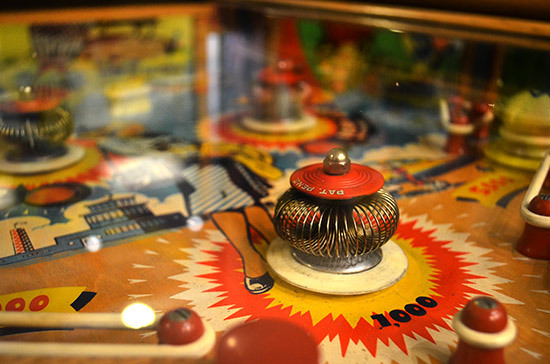 Before 1961 it was illegal to import pinball machines into France. Everything was done through contraband. He remembers receiving a Southern Belle in four pieces and someone had shown up to reassemble it. There were very few French builders. He spoke of Al Ben (Albert Benaim) around 1959, a true genius who met an unfortunate end and his games always broke down. Jeutel also made about ten copied and original games in the '80s and Emaphone made a couple of pinball machines that did not work very well either. 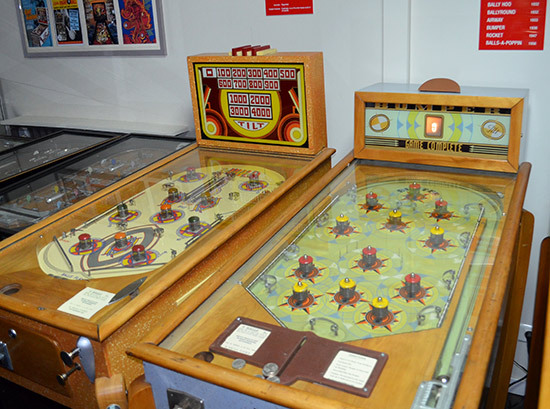 From the mid '50s he also mentioned Komet made by Treff Automaten in Germany, but no one wanted to play it. In those days, no one wanted any Williams games either. 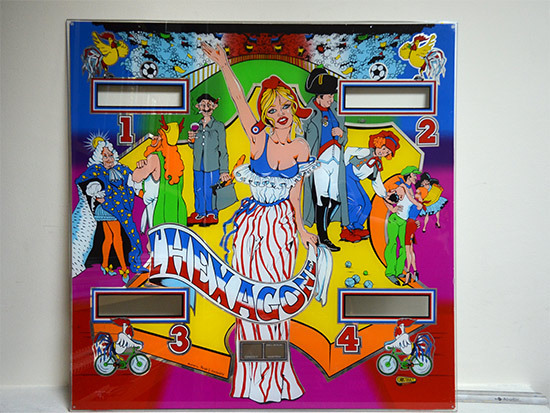 The most popular and best earners were very much Gottlieb games: Queen of Hearts and Super Jumbo of course. Other top performers were '55 Sluggin’ Champ, '54 Dragonette and '57 Majestic. Among electro-mechanicals, 1961's Foto Finish was very well received, as were '62 Liberty Belle and '75 Fast Draw. Getting into solid state electronics, the 1983 Amazon Hunt was very popular. Raphaël does not have a high opinion of Williams before they got bought by Seeburg in 1964. Big Chief, A-Go-Go and Jalopy were good earners. 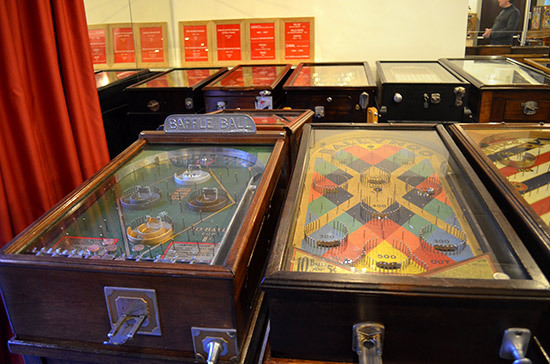 For Bally, ‘81 Eight Ball Deluxe is the only one to get a mention. Then he goes directly into the workhorses that are still out there today: Medieval Madness, Monster Bash and Attack From Mars. When I asked him about Stern, he said he never made any money with any of their games, new or old. His no-nonsense business ethos likely propelled him to have, what he considered the nicest route in France. In 1975 he recounted having 475 games in cafés including toutes les grandes brasseries sur les grands boulevards: all the biggest most prestigious cafés on the major Parisian thoroughfares. After a great run lasting more than 20 years, in 1984 Raphaël left France to live in Las Vegas. There in 1995 he finally realized his childhood dream of becoming an American citizen, having always admired the American spirit. To this day he reminisces fondly of his twelve years living in the US. 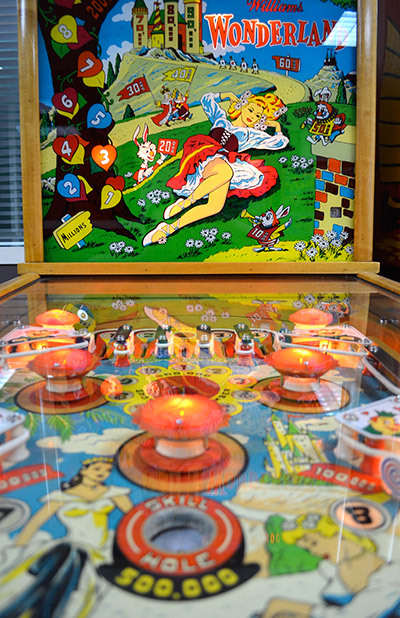 The French may have laid the groundwork for all of pinball by inventing the game of bagatelle in 1777, but to Raphaël, pinball is quintessentially American. 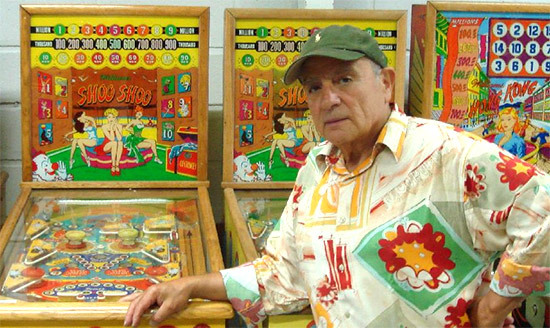 And his deep affection for American pinball, starting in the '50s, was to take center stage again in 2002. While on vacation in Portugal, he hatched the idea to start a museum in Paris, going back to where it had all begun for him. In his own words, it would be an endeavour for nostalgia’s sake rather than as a collector. Without delay he snapped up a '60 Serenade on Ebay while still in Portugal. Then came a '57 Silver, a '57 World Champ and some 300 more games over the following 3 years, one-by-one, from Ebay, from collectors... with 80% of his museum games coming from the US. 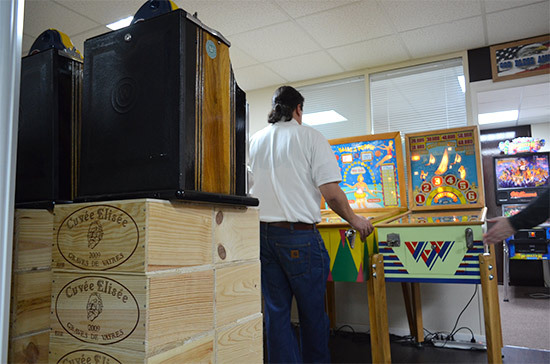 A few years ago he managed to snap up one of his beloved Shoo Shoo games in the west of France. It was very special to him, to once again have the very first title he had ever bought. These days however, Raphaël laments that games have become much harder to find. The collection in the museum is nearly complete in his eyes with the exception of a few rare games. 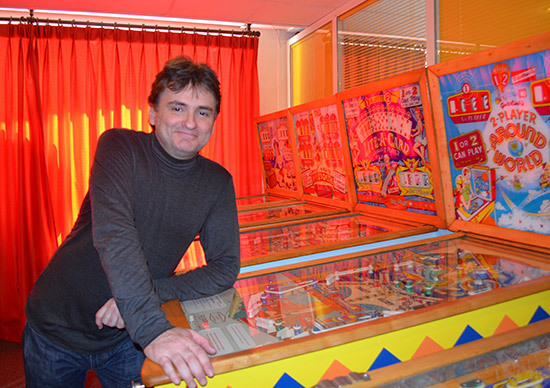 Starting in 2006 he had been renting a locale in Aubervilliers, but in 2011 with shifting demographics in that area and a worsening environment as the Pinball Wizard Magazine author so eloquently depicted, Raphaël decided to buy the current location near Porte de Clignancourt. Not only is it closer to where he lives but it’s also a safer location with easier access. The current 18th arrondissement home of the museum also has a lot of significance historically in the Parisian flipper firmament. In the early 1900s, Pierre Bussoz set up shop in the Rue de Clignancourt. 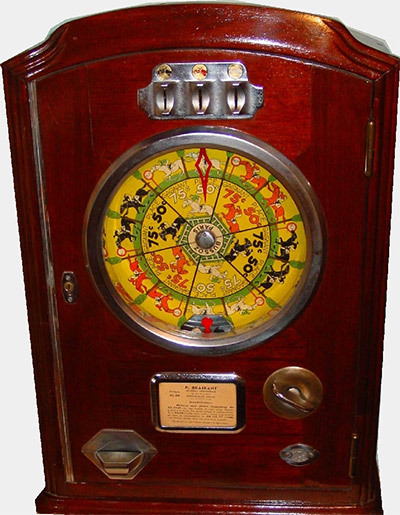 He invented the Bussophone in the 1930s, an early jukebox some of the patents from which were later used by the Rudolph Wurlitzer Company of America. And by then Bussoz was already one of the biggest names in coin-op, due to their roulette and spirale à billes slot machines. Thus forth, most of the ensuing operators settled in that area as well. 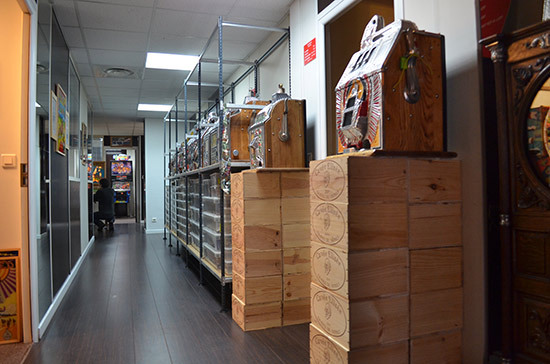 It became the epicenter of the Parisian coin-op business with operators, manufacturers and arcades lining les boulevards du 18ème. As he maintains to this day, Raphaël is an operator at heart. This is also the basis of his philosophy for the museum. All the games have to look great and play great, so they may earn well if they were put on route. How many of us enthusiasts can attest that this fundamental tenet is too often forgotten by many long-time operators. 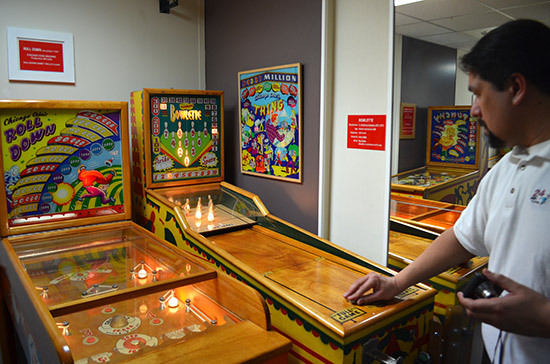 For his museum, this means a complete restoration of all his antique museum games and getting new reproduction parts. Many of his backglasses are one-off reproductions he sourced from Florida. If the pictures did not already convey it, in person it is simply astonishing to take in row upon row of meticulously restored gleaming jewels. Due to popular demand he is relenting and now planning on having a handful of dot matrix display (DMD) games in the museum. When we visited, there was only one lone Monster Bash. The Grand Champion score on that game now belongs to Michel of course. If Raphaël was 10 or 15 years younger, he assures me, he’d buy the adjacent space and fill it up with DMDs. At Bruno’s urging, he recently put a brand new Avenger LE at Le Fumaillon on Place d'Italie. Apparently this is a first, as a shiny new LE has never been on route in Paris before, and the game has been doing pretty well. He also just announced on his Facebook page that he put a Theatre of Magic at Le Stéphanois near Porte de Clignancourt. These games are destined for the museum, but it was no question to him that they should earn a bit on route before then! Still, he doesn’t view today’s environment as very positive for operators. For him that is not due to the product but the locations themselves. All the big Parisian cafés which were his bread and butter are no longer owned by the down-to-earth mom-and-pop Auvergnats, but by commercial entities or by big businessmen. He just lost yet another long-time client on the grand boulevards after 40 years, the famed Gramont. To him, games nowadays last too long and it is a simple business fact that a table for patrons in the same spot will generate a lot more revenue. This only lends more poignancy to Raphaël’s mission to preserve these pieces of history, these artful mechanical marvels that give us a direct window into the lives of their contemporaries. Raphaël is now in his mid-70s. From our engaging phone conversation and a few e-mails he fired me from his iPhone and iPad, he is certainly still sharp as a tack and full of energy. Yet his children do not have any interest in continuing in their father’s footsteps, and when I enquired he did not share any definite plan for the future. So do yourself a favor and plan a visit soon to this truly outstanding collection. I look forward to getting back there at the next opportunity. As I delightfully found out, on some of the older games I sometimes stand a chance to keep up with my IFPA-ranked Parisian friend Michel. Both Raphaël and Bruno speak English well, and are used to welcoming pin-pilgrims from around the globe. If you’re lucky, you’ll get to meet both of these fine gentlemen, hear some of their great stories, and have a new one to tell of your own. 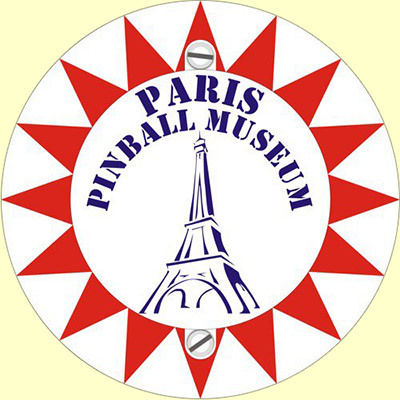 The Paris Pinball Museum is open by appointment only. 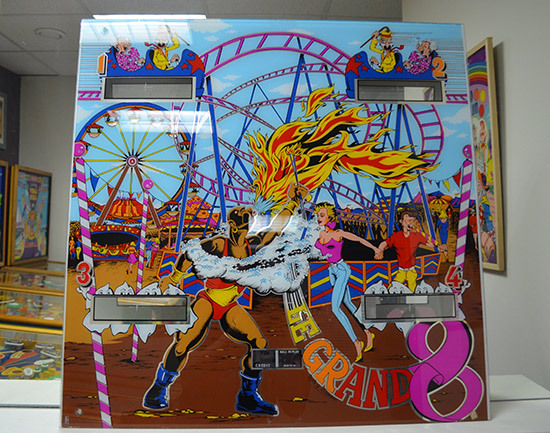 More details can be found on the Museum's website at www.pinball-gallery.com.